The unusual combination is only around for a limited time. Drizzled with white and milk chocolate, the treat is hits stores across Japan on January 26 and will be sold until mid-February. 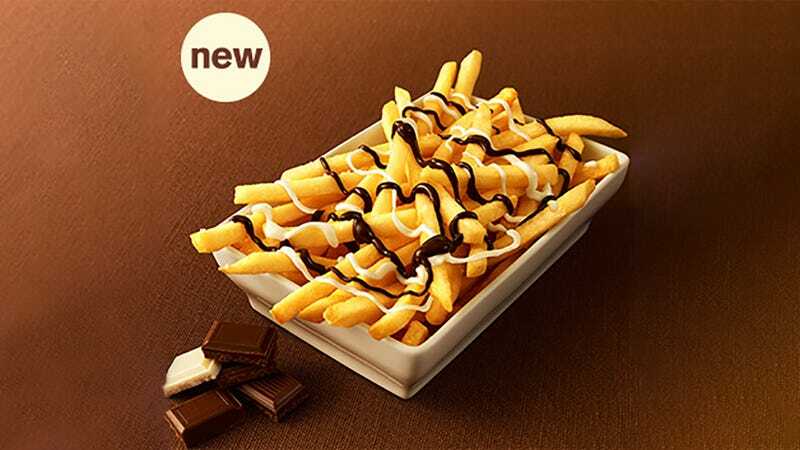 A poorly Google-translated page explains: “The salty of the potato, the taste of surprise sweetness of the chocolate source is applied, Please enjoy.” It costs about 50-cents to upgrade your boring choco-free fries to the amazing choco-potatoes. Please enjoy.